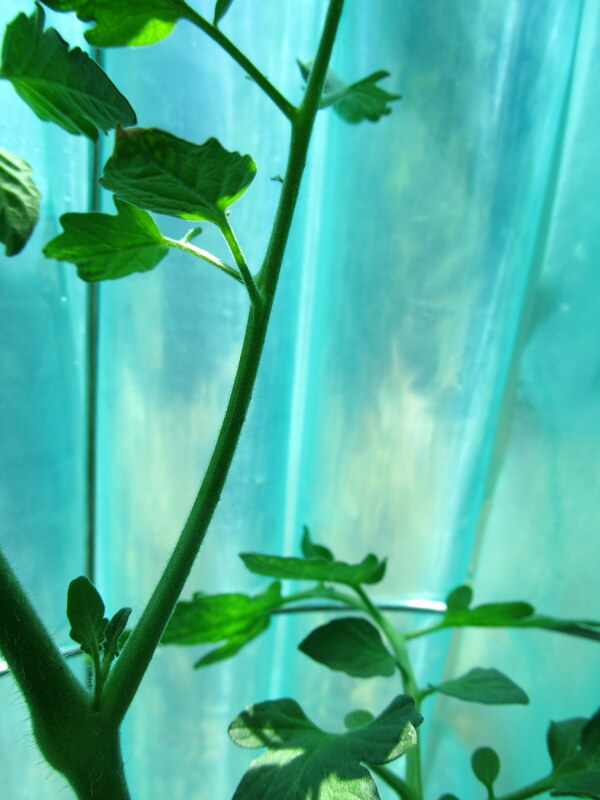 A commenter, who I know from real life to be an actual horticulturalist, suggested I put upside down tomato cages in my walls of water to prevent them from tipping over. It has worked beautifully! I put dollar store finials on the wires not just for pretty, but also so I don’t poke my eye out. 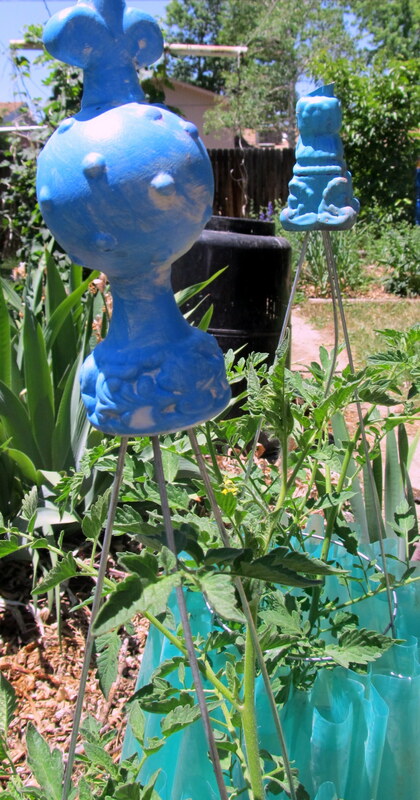 Small tomato cages, put in upside down, support the sides of the wall of water. The tomatoes are staying nice and warm at night, they are flowering, especially the 4th of July plant. I am super hopeful that I will be slicing up tomatoes in just a couple of weeks. Tomatoes grow the most once nighttime temperatures are above 60- since these have been protected on the nights it has gotten down into the 40’s, they have really grown a lot. I guess if I were a true scientist, I would have a control tomato plant, with no protection, and see what the difference was. Instead, I held my camera inside the wall of water and took a bunch of pictures. What would it be like to live in a water teepee? Very green.